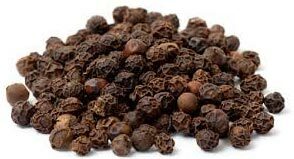 We are a well-known Supplier and Exporter of Black Pepper Seeds from Tamil Nadu, India. We have tie-ups with the named vendors who are famous for the quality that they offer. The Black Pepper Seeds, offered by us, are excellent quality and superb in taste. We are well-equipped with the in-house labs for quality assurance. The Seeds can be purchased by us at market-leading prices.